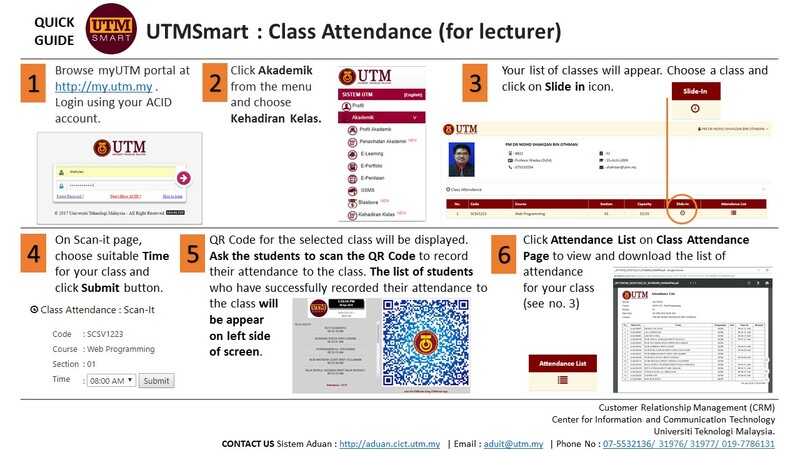 As one of UTM Digital Lifestyle initiatives, UTMSmart application is now can be used to record classroom attendance. Please download and install UTMSmart application on your smartphone at Google Play Store or App Store. The application is now available for Android (version 4.4 or later) and iOS (version 1.0.4 or later). 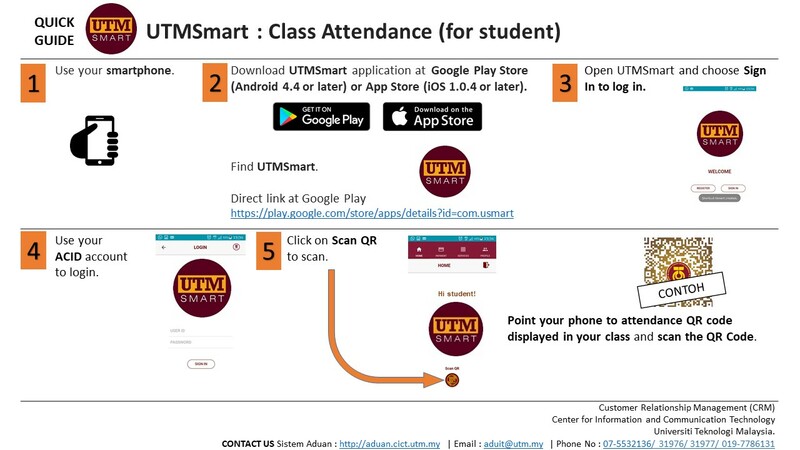 Follow the steps below to use UTMSmart for student to scan their presence to the class and for lecturer to record student’s attendance. ​​Click on student and lecturer to play a video on how to use this application. Let’s support UTM Digital Lifestyles by using this application. Please do not hesitate to contact us if you need further assistance.